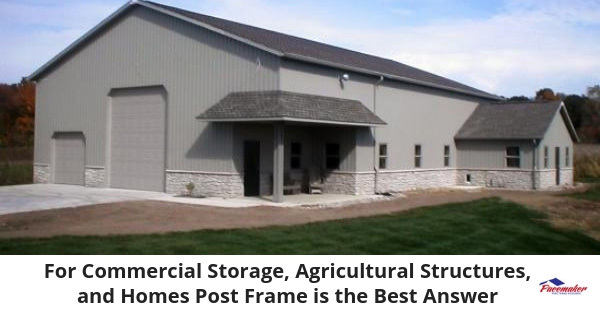 Storage facility owners, commercial and retail businesses, and agricultural concerns require durable, economical, and attractive buildings. The same is true for homeowners who are planning to build a residence that is energy efficient, affordable, flexible, and blends well with the surroundings. 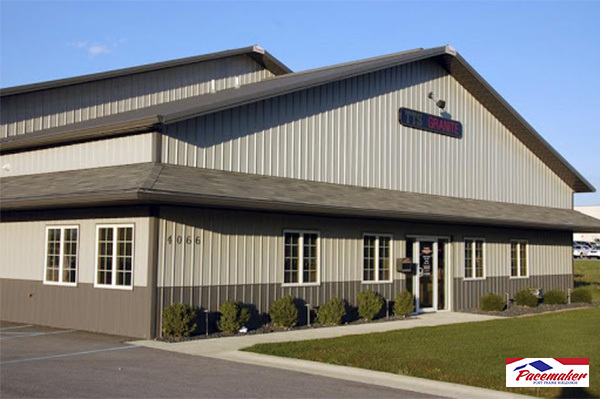 Pacemaker Post Frame Buildings offers an ideal solution from their Northern Indiana headquarters, serving the Great Lakes region of Indiana, Michigan, Ohio. Moreover, Pacemaker can recommend affordable financing through “hometown” institutions to either buy or lease the new construction. These highly credible lenders work with owners to secure the best funding possible to address cash flow and tax liability issues. Pacemaker Post Frame Buildings is a premium supplier and builder of post frame structures. The company has been producing quality buildings for over 40 years, employing a diverse team of skilled employees plus in-house manufacturing to deliver precisely what the customers need. 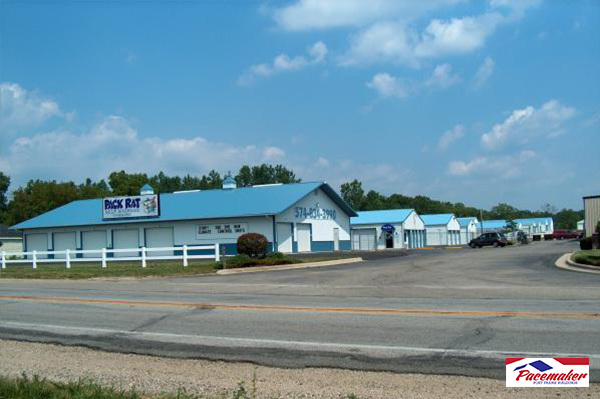 Commercial Storage in Syracuse, Indiana: The Pack Rat Storage Inc.
Commercial Building in Merrillville, Indiana: Size: I&C Enterprises. These beautiful and highly functional post frame buildings can be viewed on the Pacemaker website. One of the primary advantages of post frame construction is the design flexibility and adaptability to unique sites. In a setting with a panoramic view, for example, the design of a post frame home allows for expansive unbroken vistas without the usual interior obstructions. Moreover, as the family size grows and recedes, the ability to change the floor plan and add or subtract rooms is substantially easier with post frame construction. The elimination of interior load-bearing walls accommodates design changes with few complications. Also, a post frame residence can be as beautiful as any other home. Because post frame is simply a framing alternative, any exterior cladding or architectural feature that is available for “stick frame” homes may be added to a post frame house. 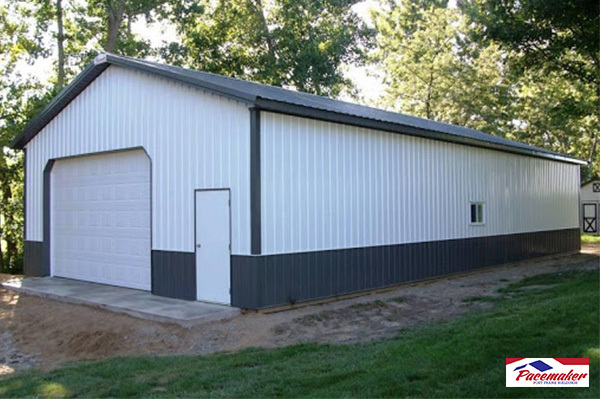 Barns, stables, and storage facilities require wide, clear space for managing animals, vehicles, and high volumes of supplies and feed. By creating a structure with no interruptions from weight-bearing columns, normal agricultural activities are handled more efficiently. Plus, owners have greater cubic space utilization within the structure. Pacemaker knows that financial decisions and financing are an integral part of the construction and development process. With close working relationships with several “hometown-style” financial institutions, Pacemaker can direct clients to lenders who understand their clients’ needs and can help work through decisions like buying or leasing, tax considerations, and mortgage matters. A leader in the post frame construction industry in the Midwest, Pacemaker has over 40 years’ experience in developing, producing, and marketing the high-quality materials that make the building process faster, more efficient, and less expensive. 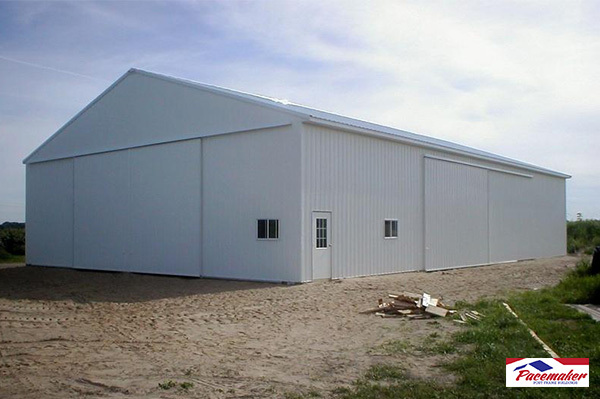 These durable buildings designed for agricultural, residential, municipal, or commercial use can be the best answer for any application. The experts at Pacemaker take pride in their collaborative approach always focused on the clients’ needs. For more information, call Pacemaker Post Frame Buildings at 1-888-834-4448. 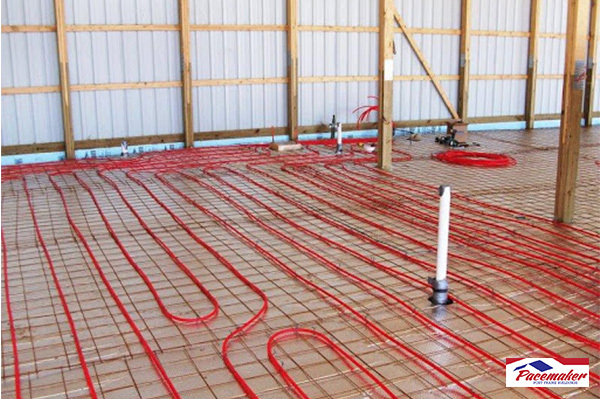 This entry was posted in Post Frame Buildings and tagged financing for post frame buildings, flexibility of post frame construction, post frame homes on October 30, 2018 by Jack Cripe.